I’m currently going through the book again trying to build an index. A couple of days ago, I finished the copyright page (“Pirates will be drawn and quartered” and “If you’re doing stupid things, it’s not my fault” or something to that effect). I also put in all the fancy things like a half-title page although I still need to build a title page. I also have a good idea for the front cover. Of course that leaves the back cover. One of the worst jobs, though, is trying to summarize the book in 380 words or less for the sales blurb (what you see under book description when you try to buy the book). I have spent a day on this already and so far I am no closer. ARGH! I have been trying to get inspired by the alexa reviews, because I think they aptly summarize the blog which incidentally also summarizes the book to a great extent, but I haven’t cracked it yet. next post: Blogs as passive income, no way! 8 users responded in " Book miscellaneous "
From all the marketing crap I’ve read recently there seems to be a common theme: focus the sell on the benefits of the product/service. Back cover: short sales pitch + praise from celebs who got to read the book in advance of publication? above factors as a motivation…. How does that sound? Let me know if that sounds good… I can help you a litt more on that.. Or feel free to take it and develop on your own. P.S: Comments don’t support tags?? 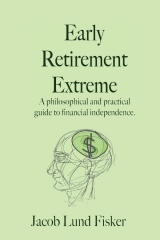 Even full retirement folks would benefit from the ERE life style. I for one find comfort in knowing that if push comes to shove, in my “Golden Years”, I have a plan B or plan C to cope in style. These plans have been formulated from reading ERE’s posts, links, & discussions. I think the book would be icing on the cake. Also, for the 1st time, I am planning on buying some dividend paying stocks.